Composed by Michael Lisle Dunn. Gospel, Repertoire, Pop, Wedding, Recital. Piano Reduction, Score, Set of Parts, Sheet Music Single. 6 pages. Published by Michael Lisle Dunn (S0.265225). Piano and vocal (Baritone) version of the uk heights ballad from 2004 album 'Welcome to Life'. 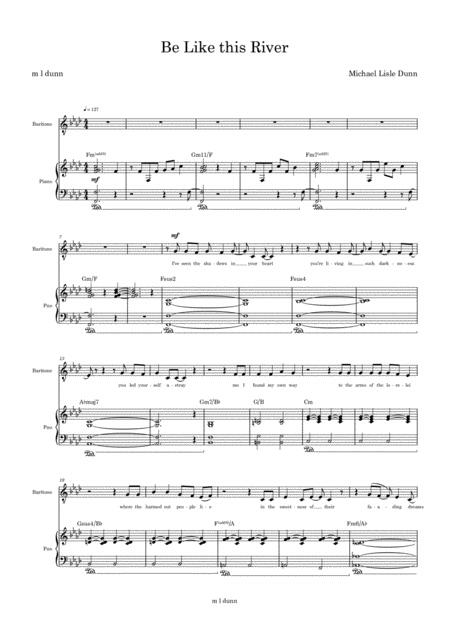 Includes top line, lyrics, chords and piano score.